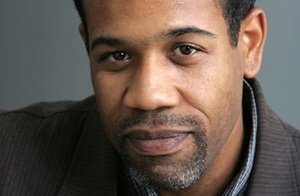 We’d like to congratulate PEN Trustee Gregory Pardlo, who has been awarded the Pulitzer Prize for Poetry for his book of poems, Digest. The judges cited Pardlo’s “clear-voiced poems that bring readers the news from 21st Century America, rich with thought, ideas and histories public and private.” Below we feature an interview from our archives with Pardlo. PEN’s Poetry Relay series hopes to trace the topography of influence that connects contemporary poets to their peers and predecessors. The relay features a podcast reading by each poet, a conversation that covers the poet’s inspiration and influences, and finally a hand-off to a peer. In this leg, Gregory Pardlo, author of the poetry collection Totem and currently the Poetry Book Review Editor of Callaloo, talks about the lion in his path, belief in the reader, and the thrill of controlled abandon. Also listen to him reading two of his poems, which appear in the anthology So Much Things to Say. So much of my early influence I credit to my first creative writing teacher at Rutgers University in Camden, New Jersey, Lisa Ziedner. I looked up to her as much for revealing a world of literature I thought was beyond me, as for her own literary talents. But my time at Rutgers was overshadowed by a missed opportunity to study with Afaa Michael Weaver, who had accepted a position at another university the semester before I arrived. Some classmates who had had the opportunity to study with him spoke of him with admiration, and because of that I began looking for his work. The more I read, the more I became enamored of his poems, which often deal with themes that are important to me: black masculinity, the lives of working people, and the relationship between African American fathers and sons. My most seminal aesthetic influence, however, would be Yusef Komunyakaa. I know that’s a little corny—everyone wants to claim Komunyakaa as an influence. But before I had the chance to meet him, I remember sitting on a bus reading “Neon Vernacular” for the first time—I was twenty-seven—and thinking if I had known sooner that the things Komunyakaa does with language were even possible, I wouldn’t have spent so much time trying to fit into the conventions of middle-class American life. At the same time, I had to acknowledge this disheartening realization that I would not, and could not, approximate his literary achievements. Ellison talks about the lion in the path. So for Baldwin, Richard Wright was the lion is his path, and Baldwin had to attack him, in that sort of fight or flight response. I see Komunyakaa as the lion in my path; he calls up my fear and admiration and aggression and self-consciousness—all of that. What impressed me the most about Komunyakaa was the breadth of his literary allusions. His work gave me permission to look beyond the catalogue of approved African American cultural references for the materials genuinely representative of my North American experience. Growing up, there was this sense that if I was going to be an artist of any kind, or be creative in any way, there was a particular way I had to behave, and a particular canon of material I had to deal with. Seeing Komunyakaa and Weaver cross all boundaries and have such a great facility with a variety of material gave me permission to access a variety of influences without self-consciousness in my own work. I began to read widely and allow myself to become attached to other poets. For example, Ai, Robert Pinsky, Carl Phillips, Campbell McGrath, Lynda Hull, Robert Haas, Reginald Shepherd, Larry Levis, all became really important models—heroes—in my mind, though I haven’t met any of them in person (some for obvious reasons). Pinsky is from New Jersey and he writes in a way that suggests he is conscious of the fact that people of color are a part of his life, as opposed to a lot of other writers who seem oblivious to the diversity surrounding them. I favor Lynda Hull’s work for the same reasons. Once I determined I wouldn’t tolerate various forms of provincialism in my own work, it became an intolerable oversight in the work of others. I’m suspicious of writers who seem to hide out in a make-believe world of homogeneous certainties. I do want to mention that my influences are not limited to individuals. I’m an alumni fellow of Cave Canem and one of the things that organization gave me was an introduction to Cornelius Eady and Toi Derricotte, both of whom I count as really the only two people in my life as a poet to mentor me beyond the workshop. They concerned themselves with my well-being and my work, and that was very meaningful to me—to have the sense I was anchored, that there was a support system. Back in the mid-’90s, when my sense of myself as a poet was just starting to coalesce, I met Major Jackson. We both grew up in the Delaware Valley and he actually went to the high school my father and my grandfather attended, so I’ve always felt this kinship with him beyond our literary lives. Eventually we ended up serving together on the editorial board of Painted Bride Quarterly. Major is one of my oldest and dearest literary friends, but he’s also that talented brother (as in sibling) whose shadow I’m always trying to get out of. In my generation, there are few poets I don’t read. I’m a first-book junkie. I love the catalogs that publishers send out, and I spend an inordinate amount of time tracing connections among poets via the reported reading habits of Amazon customers. Of course, there are some poets whose work I keep closer than others. I’ll give another list: Shane Book, Tracy K. Smith, Ben Lerner, Matthea Harvey, Sherwin Bitsui, Ed Skoog, Kate Marvin, Terrence Hayes, Christian Campbell … I could go on, but these are the poets whose books have been lingering on my desk for some time now. Lately, I’ve also been reading and re-reading Gabrielle Calvocoressi’s Apocalyptic Swing. I’m taken in by her fascination with the context in which brutality is not only socially approved but somehow compulsory. The boxing ring is one obvious example, but so is mob contagion and her framing of violence in the Civil Rights era. She is a poet who recognizes the breadth of cultural experience available. I’m a cynical person outside my work, so in my poems I’m often trying to find some place where I actually believe in the language I’m using, and not just second-guessing or doubling-back. But Gabby has a way of capturing a truly convincing voice; it’s the voice of a priest, a confidante, a coach. There’s an authority and there’s trust in her voice. She has this way of blending reverence and humility and sincerity in her voice and in her tone. And the architecture of her poems speaks to the idea of ritual and rehearsal, of someone finding comfort in the practice, in the process of repetition and patternmaking. There’s an awful lot of value attached to performance, interpersonal performance—you’re cool when you’re witty and laid-back and the ideas run off your tongue. I was never good at that. I’ve never felt quite at home in front of people, so my cynicism is really born out of aggression toward the well-adjusted person; the idea that one can be self-possessed, happy, well-adjusted, and be that way always—I just never bought that. So when I see someone who performs well, I’m always suspicious that when they’re off the stage, there’s some kind of breakdown. I grew very disillusioned with that kind of performance because of the psychic toll I think it takes on a person, or certainly takes on me. I am also romantic and optimistic, which I don’t see as a contradiction. I started writing because of the silence of the audience. Here’s a place where I can imagine being on stage, so to speak, before a group of people who may or may not be sympathetic, but I have the opportunity to speak, and not only get my ideas out to my satisfaction, but without interruption. Without being shouted down. I do believe that somewhere in our language, in our performance of speech, that all the background noise of ambition and criticism and judgment can sort of melt away and what’s left is just human interaction. I’m at a point now where I believe in the reader, I have faith in my relationship with the reader. Not to say that I blindly think the reader is always sympathetic; I’m painfully aware that there are a great many readers who are not, but I don’t feel I have to appease them anymore. Again, that’s what I admire about Gabby’s work: it’s not about getting it right or perfection; the pleasure is in the doing, in the patternmaking, in the ritual and rehearsal. And I’ve learned to enjoy that repetitive process of crafting the poem, of crafting the communication, of crafting the relationship with the reader. The thing that inspires me foremost has always been music. But as I got older, into my twenties, the music began to speak to visual arts, and the visual arts began to speak to poetry. I became fascinated with the historical period of time around the Second World War, with the rise of the beat poets, and Abstract Expressionism and BeBop—the Birth of the Cool. It seemed to me that of all the things that were screwed up in America at that time, the one place anyone comes back to, the one place where there can be found a cohesive sense of community, is that place of improvisation. In the realm beyond conventional reason there can be found opportunities to transcend the categories that corrupt our social interactions. Growing up in a family that values performance, I have a respect for people who pull it off well, even though at the same time I question the costs of pulling it off. So I recognize how, during improvisation, at the moment one is most performative, there is a reaching toward a transcendence of that performance. In the standard tune, for example, there are conventions that have to be adhered to, but sincerity occurs. I’m suspicious of the kind of performances where affect is recognizable, where we can see the seams and the mask, where the makeup is applied. Forgive me for mixing metaphors. But then I’m convinced it’s not an entirely futile effort when I see a performance where the affect is not the point. Where we acknowledge that there’s a structure, we acknowledge that there are conventions we need to adhere to, but that those conventions allow for the individual to genuinely be self-possessed—and that’s the thing I think I’ve always been chasing after. So obviously professional jealousy is a thing we all deal with—that’s just human nature—but when we’re talking about the work itself and someone expresses some jealousy of that poem, that’s a more insidious kind of failing. The poems that we, as individuals, come back to again and again—we own those poems; they’ve been written in a way that looks beyond the structure of mine/yours. There’s an inviting, a sharing quality, not only in the poem itself, but in the character of humanity that the poem evokes. So when I recognize that the poet isn’t guarding some emotional wound, that’s really vulnerable and thrilling for me. I continue to write because I want to participate in that exchange; I want to find new ways of making myself vulnerable.